A coastal drive south by the Konavle Valley to the picturesque seaside town of Cavtat. In the 4th Century it began as a Greek settlement called Epidaurus, then later a Roman colony and emerged into a significant seafaring stronghold. You’ll walk the limestone paved streets, squares, charming seaside promenade and see the villas & local houses and hear all about it’s history & customs. 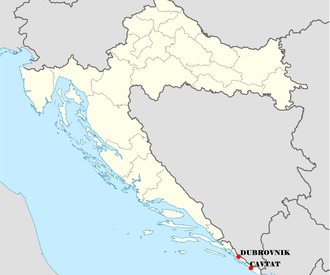 Cavtat was directly affected in the early 1990’s war and you’ll get a better understanding of that period. You’ll have the option of walking up to the Racic Family mausoleum or perhaps do some people watching at one of the many outdoor cafes. The tour continues with the drive back towards Dubrovnik making a slight detour to the Srdj hill top which overlooks Dubrovnik the Dalmatian Coast & nearby islands. All this is a build up for the walking tour of Dubrovnik’s Old Town seeing all the sights.